Stickers have pre-cut perimeter and easy crack and peel backing. 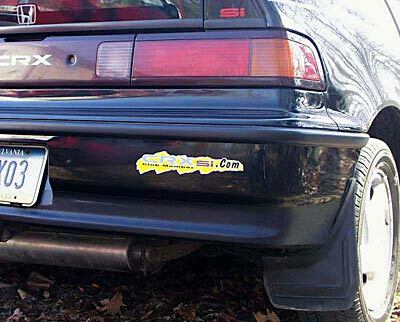 It takes about 30 seconds to place a sticker on your car. We use Premium Exterior grade screen printed vinyl with permanent adhesive with an outdoor life of 5+ years. Stickers will look great for years and will not wrinkle or fade after exposure to weather.